Florida International University establishes “The Jose Antonio Echeverria Scholarship” to honor the memory of José Antonio Echeverría, President of the University Students Federation (FEU in Spanish) at the University of Havana. The scholarship is awarded every year to a student of Architecture, History, Politics & International Relations, or Religious Studies at FIU. The purpose of this scholarship is to promote the understanding of the political, social, and economic realities of 1950s Cuba, and in particular of the life and legacy of Jose Antonio Echeverria. This year they will award two scholarships of $4,000 each to cover tuition, books, and other educational expenses. 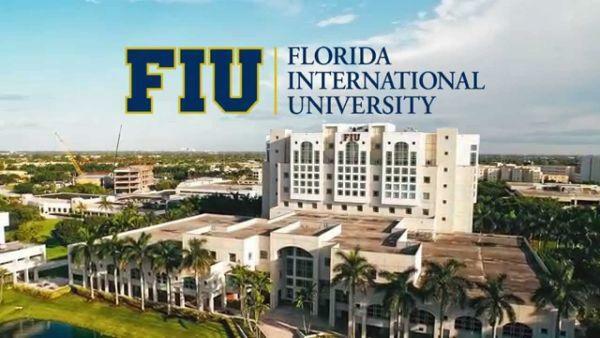 At the time of application, the student must be enrolled at FIU as an undergraduate, degree-seeking student with a declared major in Architecture, History, Politics & International Relations, or Religious Studies, and taking at least 12 credit hours each semester. At the time of application, the student must also be actively enrolled in the Undergraduate Certificate in Cuban and Cuban-American Studies and must continue taking at least one program course during any semester that the applicant will be a recipient of the scholarship (including any summer semester). Students who are not currently registered in the Undergraduate Certificate in Cuban and Cuban-American Studies can apply for this scholarship only if they enroll prior to or simultaneously at the time of application, and continue taking at least one program course during any semester that the applicant will be a recipient of the scholarship (including any summer semester). GPA and Transcripts: Applicants must submit unofficial transcripts demonstrating a cumulative grade point average of at least 3.0 on a 4.0 scale at FIU, or, if newly enrolled at FIU, at other institutions attended. Essay: Applicants must submit an original, well-researched, and properly documented 3-page essay (double spaced, 12-point font, in English or Spanish), demonstrating knowledge of the life and beliefs of José Antonio Echeverría and his contributions to and efforts toward democracy in Cuba. All supporting documents and application must be sent to cri-at-fiu.edu. The best two applications received will be awarded $4,000 each. The selected essay will be published at the José Antonio Echeverría Foundation website and other online outlets. Entries for the scholarship will be submitted by Monday, September 25, 2017, by 11:59 pm CT.